You know that AMAZING high at the beginning of a trip? You’re so excited and optimistic and you’ve got SO much time to enjoy this experience. And it’s basically the polar opposite of that end of the trip feeling… which can be a bit depressing, a bit sad, and a bit nostalgic. Especially if you’re parting ways with your travel companion. 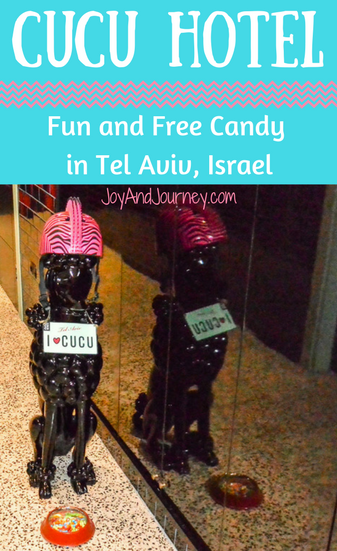 My sister Becca and I concluded the end of our incredible Israel trip with a stay at the whimsical and centrally located Cucu Hotel, in an attempt to battle those inevitable trip-end emotions. Cucu Hotel is so lighthearted and jolly, it makes it tough to be sad about anything, even the idea of parting and heading home. 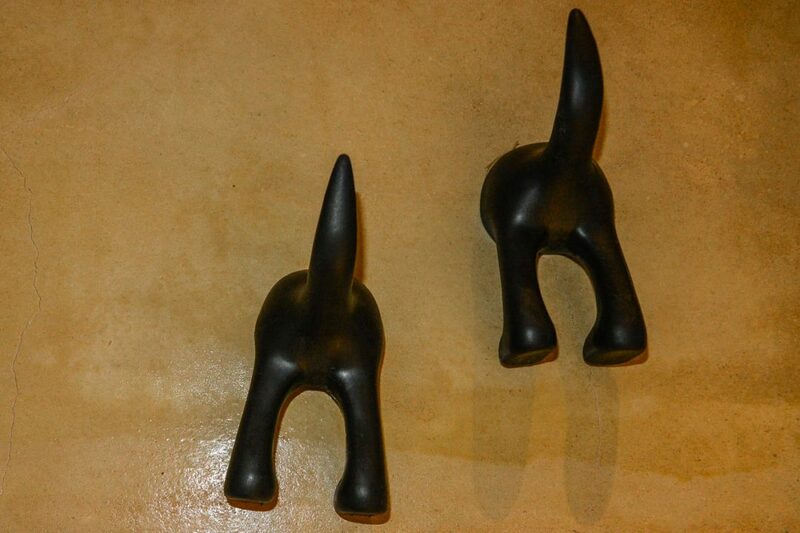 Seriously though – endless free candy and [figures of] dogs everywhere? It’s like this hotel was created out of Becca and I’s respective ideas of heaven, seriously. She’s got that sweet tooth and I’ve got continuous dog fever. 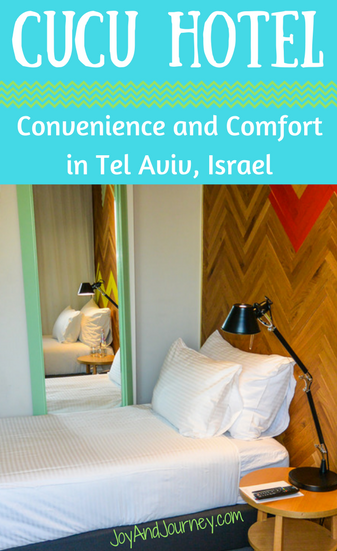 Why was Cucu Hotel the best choice for our last night in Tel Aviv? It’s all about those C’s: convenience, comfort, and cheer! On the last bit of a trip, you want to spend as much time having fun, while still leaving space to pack up and get ready to go home (physically AND mentally). 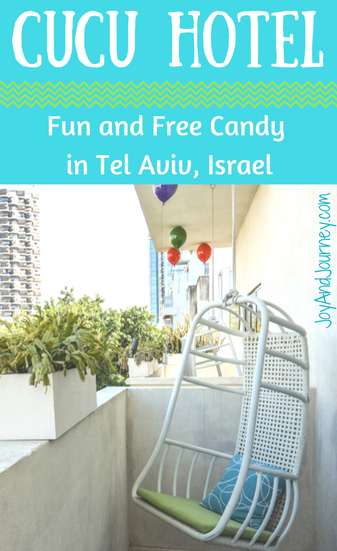 Our number one goal for our girl’s trip to Tel Aviv was to spend as much time on and around the beach as possible. Cucu Hotel definitely supported that mission. A location less than a 15 minute (mostly shaded) walk to the beach means that we could be sipping cider and (alcohol) smoothies in almost no time. 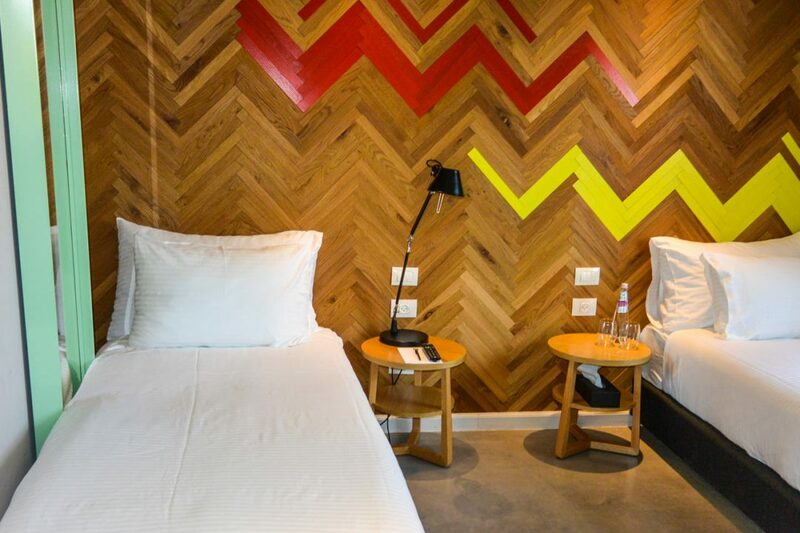 Cucu Hotel, while near to the beach, is still perfectly located for bar-hopping and shopping. 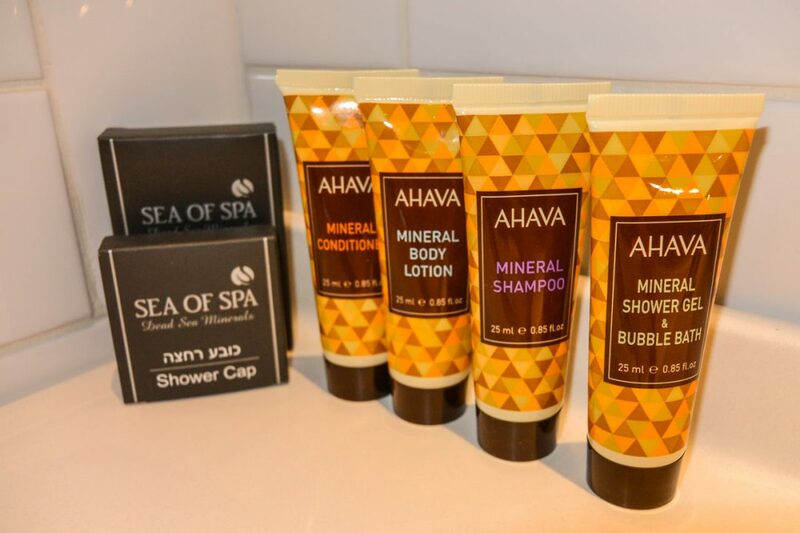 Between beaching, bar-hopping, shopping, and eating, you’d be hard-pressed to find a girl’s trip hotel more perfectly located for taking advantage of all my favorite Tel Aviv activities. Side note: I also loved that Cucu Hotel provided beach towels, and sunscreen for on-site application! Very thoughtful and appreciated. The hotel breakfast is served on site, in the cafe downstairs. 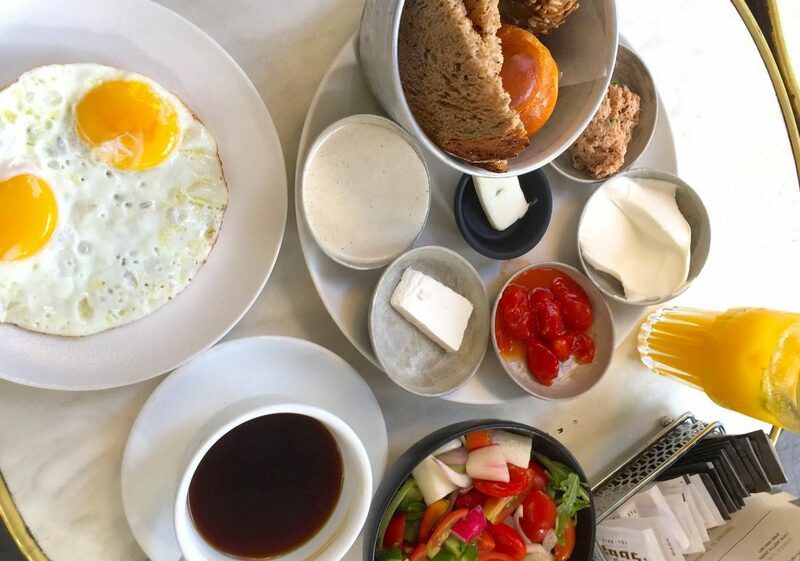 This is perfect if you’re planning to check out, enjoy breakfast, and make a bee-line to the airport (like we were). If you want to make the most of your time, you probably don’t want to walk everywhere (especially if you’ve got a lot left you want to see). Cucu Hotel provides complimentary, hotel-owned bikes — just ask at the reception! You want to spend the last bit of your trip cocooned in comfort. It makes leaving harder — for sure — but it makes the last moments so much more enjoyable. One easy way to soothe going-home blues is with a relaxing spa treatment. Cucu Hotel makes the process even more relaxing, as they offer treatments on-site. I move around a lot when I sleep, so no one likes to share a bed with me (seriously: even my husband), but especially not my sister. We really appreciated having a good night’s sleep on our last night in Tel Aviv, made possible by NOT sharing a bed. The 2-bed room would be perfect for friends or siblings traveling together, like us, who prefer to have their own space. Cucu Hotel provided especially yummy-smelling toiletries and their robes and slippers were EXTRA plush and lush. Trust me, I’m a serious robe and hotel conditioner aficionado, and these all get an A+. And last but certainly not least, you want the conclusion of your trip to be as chirpy and cheerful as possible, so you can continue pushing off the reality that in a day (or less) you’ll be back to reality. 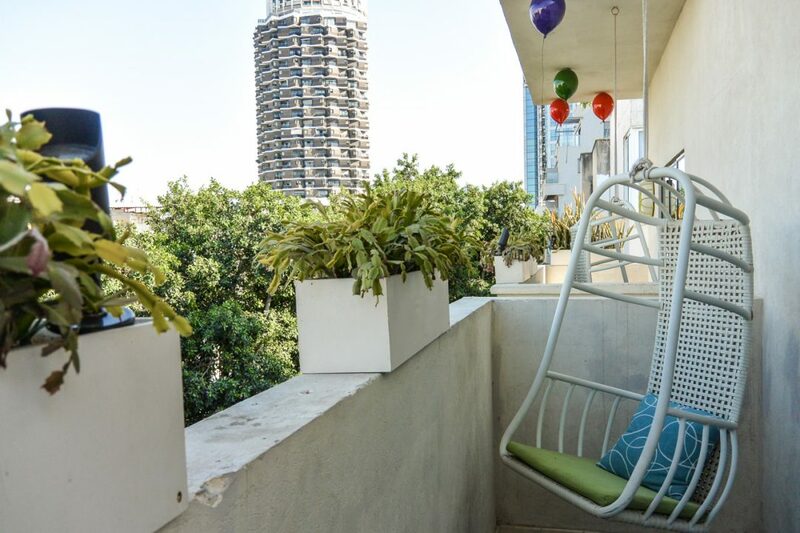 Not much makes me happier than a balcony with a badass view, and Cucu Hotel takes it a step further with an awesome swing seat and the cheerful balloon sculptures on the ceiling. It’s actually hard to feel down when you’re surrounded by bright colors, endless candy, and dogs. Seriously, does it get better than that? 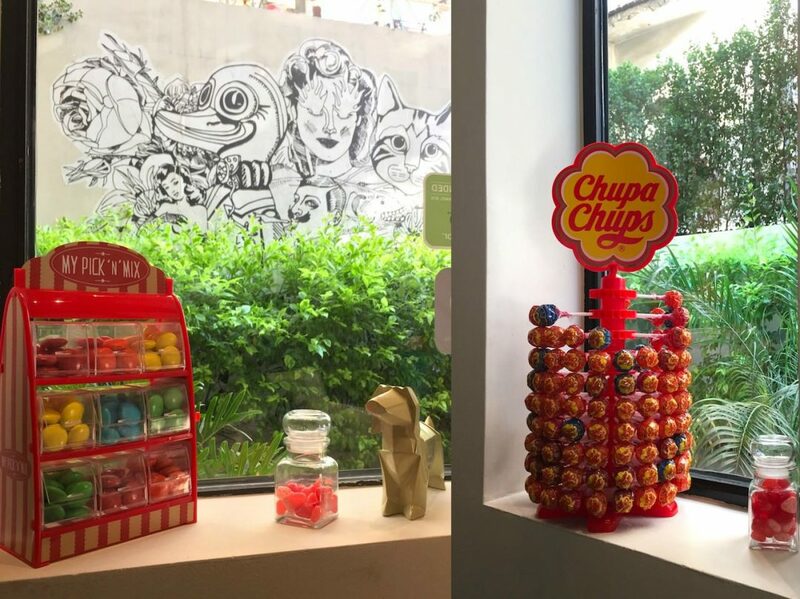 Cucu Hotel is a grown-up version of a kid’s funhouse, with whimsical details everywhere. One vast improvement on a kid’s funhouse, though, is the very grown-up celebration of the special time of day known as wine o’clock. Check with the receptionist for the exact time during your stay, because missing out on free wine is a travel tragedy second only to the ending of a trip. 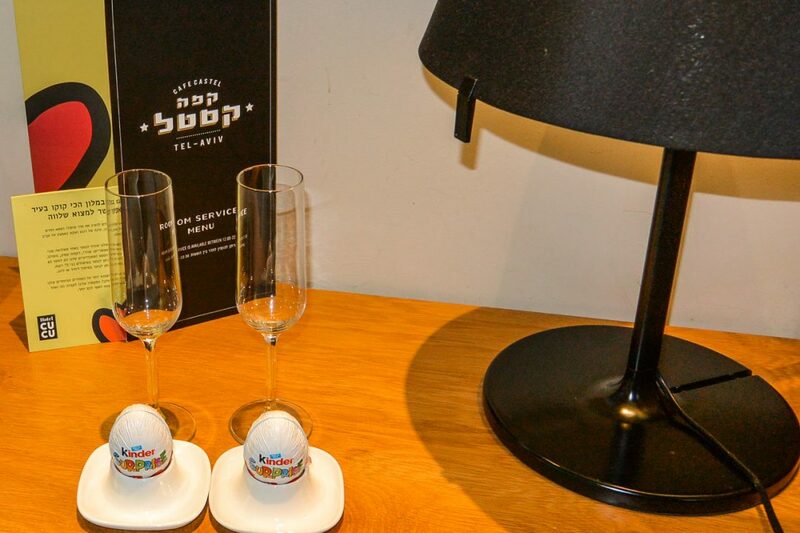 Cucu Hotel is located on Dizengoff street, which could be considered the most central of any street in Tel Aviv. 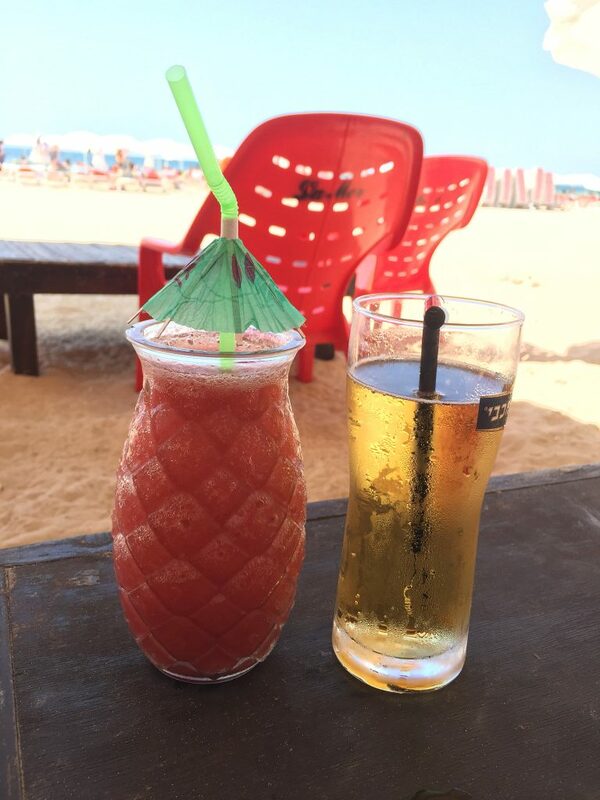 Cucu Hotel is just steps away from the trendiest restaurants, bars, and shopping… and of course: the beach. Book direct at the hotel website or Cucu Hotel is also on Agoda. To check the latest low prices on airfare to Israel, try Skyscanner , or if you have some date and/or destination flexibility and want to score the absolute lowest prices, try Kiwi.com. To get to Shenkin Hotel from the airport, you can call an uber ($15 off your first ride with this link), or use public transportation. How do you beat those end-of-trip doldrums?